Latin is a difficult language to learn for speakers of English because the language’s grammar and structure are so different from our own. Many students who begin learning the language quit because they did not know what they were getting into. One of the best ways to tackle any new subject is to do some research and find out what you will be doing and learning. With Latin, a little knowledge ahead of time can mean the difference between success and frustration. Read on to learn how to avoid three of the top 10 mistakes made by Latin students. You would be surprised to find out how little native speakers of a language know about their own language. Many people assume that the ability to speak a language automatically makes them an expert in grammar, lexicon, and history. While learning Latin, you will spend a lot of time discussing grammar, lexicon, constructions, and vocabulary. Without a solid foundation in your own language, you will find it difficult learning the differences between nouns and predicate nouns, perfect and past perfect tense verbs, and declensions and conjugations. Before you embark on Latin study, take the time to brush up on English grammar. There are a variety of resources out there too numerous to mention here. Buy a book at your local bookstore, borrow one from your library, or use your child’s English textbook. If you want to jump head first into Latin, consider reading “English Grammar for Students of Latin" by Norma Goldman and Ladislas Szymanski, a classic among Latin students. This book walks you through a comparison of English and Latin but takes the stance from a Latin student’s point of view. By reading this book you will also gain a jump on what is to come in your Latin studies and be far ahead of other students. If you are a self-learner of Latin, this book is an absolute must as a reference and bible of grammar. Latin is a language of exceptions; the patterns that exist to form, for example, the conjugation of a verb cannot be relied on to conjugate verbs belonging to other conjugations. English speakers are used to this because English is also a language of exceptions. Latin sentences, however, are constructed far differently than English sentences. English is largely an uninflected language in comparison to Latin. There is not a one-to-one relationship between a Latin sentence and its translation into English. Some teachers of the language take a “puzzle" approach to Latin and teach their students to think of Latin as a puzzle; you uncover a translation by considering one piece at a time. Latin takes a lot of time to learn. Even the simplest of tasks such as conjugating a verb takes memorization and practice. Unfortunately, most Latin learning programs do not offer the amount of practice necessary to master a concept before moving on to another. Self-learners of the language are particularly vulnerable to frustration because they do not have an expert on which to rely when questions pop up or difficulties arise in understanding a concept. There are a number of books out there to help, but sometimes you need an expert by your side to help you over those rough spots. The closest resource the self-leaner has to having a teacher by his/her side is the Wheelock Latin program. Wheelock offer three main books that not only cover the language in an easy-to-learn manner, they afford the Latin student enough practice such that students fully learn a concept before moving on to the next topic. This one walks you through the tough stuff when Wheelock does not give quite enough instruction on a topic. 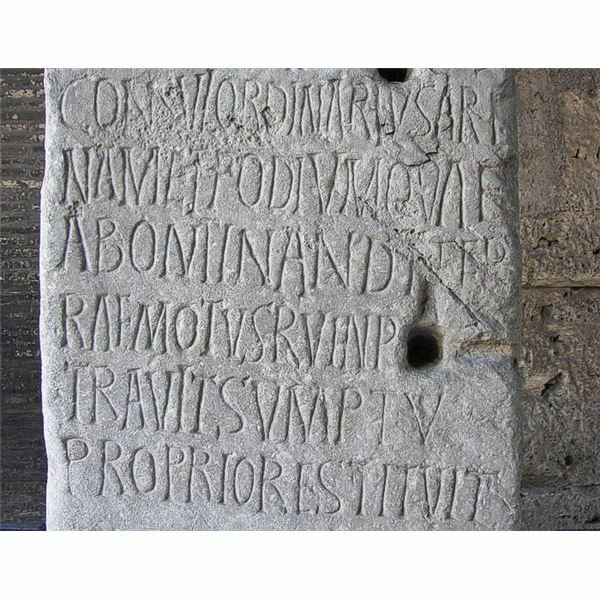 As mentioned above, some teachers of Latin introduce Latin translation as a puzzle to be uncovered by the student. Unfortunately, this approach only gets students through a test or through some other rote examination. It does not present Latin as a real language. Latin enjoyed a very long history that is no longer present in living memory. Much of what we know about Latin comes from its use after it was no longer spoken and from remnants of old texts left to us from the ancient writers, poets, and historians. In fact, there is still much debate about how to pronounce Classical Latin. Was the “v" really pronounced like “w" 2,000 years ago? We think so but may never really know for sure. It is almost impossible to immerse oneself in Latin as students of modern language can do. The result is the perception that Latin is an anachronistic relic that persists only because of the language’s influence on later languages. Before you embark on a Latin language course, take the time to learn what Latin was to the people who spoke it. It was and is a real language, not something done to complete academic requirements and then forgotten once those requirements are met. Latin may not carry with it the practical applications found in learning French, German, or Spanish, but many students of the language report appreciation for their own language while learning it. In fact, the very impracticality of learning Latin allows you to learn the language for the sake of learning, without some agenda waiting at the end of instruction. English speakers are not used to thinking of words in terms of gender. Occasionally, a word is given a gender such as when someone refers to a boat or car as “she." In general, English only places gender on words that are clearly masculine or feminine such as proper names. Words that refer to inanimate objects are all inherently neuter. Latin assigns gender to all of its nouns. For example, the word “via," which translates as “road" is a feminine noun. “Ager," a masculine noun, translates as “field" and “donum" is a neuter noun meaning “gift." Note that the assignment of gender to nouns referring to inanimate objects is purely a grammatical concept. Certainly, the Romans did not actually think that roads were women and that fields were men. Artificially assigning gender to inanimate objects is simply one method of ordering the grammatical rules of the language. The problem of gender begins with the first declension, one of the first lessons in most Latin programs. Students learn that most of the nouns of the first declension are feminine, having the distinctive “–a" ending in the nominative case and “–ae" in the genitive case. Students also learn that there are a few words of the first declension that are masculine such as “nauta" (sailor) and “agricola" (farmer). Other than memorizing these few masculine, first-declension nouns, most students do not place much emphasis on gender memorization. Since second declension nouns are masculine, most Latin programs reinforce the redundancy of memorizing the gender of nouns since students begin to see Latin as falling into quite regular patterns. Sure, there are the occasional exceptions, but overall the Latin student is safe in assuming the nouns that end in –a are feminine nouns of the first declension and nouns ending in –us belong to the second. However, a problem arises when the third declension is introduced. For the first time, masculine and feminine nouns have the same endings. The only way to distinguish masculine and feminine nouns of the third declension is memorization. The fact that third declension words decline differently within the same declension only complicates matters. Students not in the habit of memorizing the gender of Latin words by the time they learn the third declension often find themselves having to repeat previous lessons and must switch to a different learning paradigm mid-way through their Latin studies. One of the keys to successful completion of a Latin program of study is to memorize the gender of Latin words no matter how redundant it may seem at the time. Latin verbs have many forms throughout the language’s four conjugations. Each conjugation has its own little quirks, proving once again that Latin is a language of exceptions. Also once again, memorization is a key to success in a Latin language program of study. Most English programs teach that English verbs have three principal parts. However, most Latin programs teach that Latin verbs have four. Really, they are the same as in English, but the infinitive form of the verb becomes the second principal part, the present perfect form becomes the third, and the past participle is the fourth. Here is a breakdown of the four principal parts for the verb “amo," a common word in Latin programs. The problem for Latin students begins when the first conjugation is introduced. All of Latin’s first conjugation verbs follow the –o, –are, –avi, –atum principal part pattern giving students little incentive to memorize a verb’s principal parts. After all, every verb they have encountered up until now belongs to the first conjugation and all of them follow a very regular pattern. The situation becomes more complicated at the introduction of the second conjugation. Luckily, second conjugation verbs follow the regular pattern –o, -ere, -ui, -itum such as the common verb moneo, monere, monui, monitum. Still, most Latin students tend to memorize to which conjugation a verb belongs rather than the formation of principal parts. Disaster strikes at the third conjugation. You see, second and third conjugation verbs have nearly an identical second principal part form; they both have an –ere ending for the singular present active indicative infinitive. However, the first –e– is long in the second conjugation and short in the third. Many Latin programs make use of a macron over long vowels, but not all do. Without an incentive to memorize the principal parts of a verb at the beginning of their Latin studies, many students find themselves having to revisit and rememorize earlier lessons. This is usually on top of the new material presented as the course moves on. Akin to the two mistakes mentioned above, Latin vocabulary is a difficult part of any program for many Latin students. So many Latin words found their way into English that many Latin students think that they will simply recognize the English equivalent of a Latin word when the time comes. This is fine for words like “monumentum" (monument) or “poeta" (poet), but does nothing to help with words like “caelum" (sky) or igitur (therefore). Take for example the Latin word “servo." This word looks an awful lot like the English word “serve." In many Latin programs, this word creates a rude awakening to students that vocabulary must be memorized. Whereas many early Latin students often translate this word as “serve," it actually means “save" or “guard" in Classical Latin, the most popular form of Latin taught in High Schools and Universities. Once again, memorization is the key. Although many Latin words look like modern English words, students cannot rely on this paradigm to skip vocabulary memorization. Flash cards, computer programs, and other devices often aid students in learning vocabulary and should be a part of any Latin program. One of the most powerful tools at the disposal of Latin students is the treatment of Latin as a language rather than a puzzle. Of the four major aspects of language learning (reading, writing, listening, and speaking), speaking is perhaps the most important. This is true for two reasons. First, it requires no one else’s participation to practice. Second, it forces the Latin student to participate actively in the language without the rote task of translating text and looking up words in a dictionary. To begin speaking Latin, simply read aloud the passages and sentences before you begin translating them with pencil and paper. Do not be concerned if you do not understand everything you are saying; that comes with practice and experience. As you progress in your Latin program, you will find that you able to carry on brief conversations. Similarly, you will begin to “think" in Latin rather than having to think in English and provide translations back and forth between the languages to understand what you are saying and hearing. On a similar note to speaking the language, students who actively listen to Latin spoken by another tend to do better on quizzes and exams because they have trained themselves to really hear the language rather than just completing rote pencil and paper translations. Of course, listening to Latin usually requires the participation of another student or an instructor. By working with another student, you can both speak and listen to Latin in a mock conversation. For help with this exercise consider using John C. Traupman’s “Conversational Latin for Oral Proficiency" (2nd Edition). This book not only offers instruction on pronunciation, it also provides many brief conversations with which students can practice reading, speaking, and listening. In addition, it reinforces vocabulary and acts as a wonderful supplementary addition to the textbooks and material of any of the major Latin programs. Many Latin programs make use of macrons in the text to clue students in to pronunciation and, consequently, to which conjugation a verb belongs. Although macrons are useful to beginning Latin students, they often act as a crutch to intermediate and advanced students. By using macrons, some programs of study do not encourage memorization of certain aspects of the language; students know that the macrons will always be there when they need them. Certainly, the Romans did not use macrons in their writing. In fact, many Latin texts and inscriptions survive to show us that the Romans often did not even use punctuation or spacing between letters and sentences. Often, surviving Latin texts are a jumble of letters and words that seem to run into one another in an incoherent manner. Translating some text without the aid of macrons is a sure method to becoming stronger with the language, especially with pronunciation and recognition of verb conjugations. In addition, it helps students explore declensions where some cases have the same or nearly the same form as other cases. For example, the form of the noun “puella" could be nominative singular or ablative singular. Use of a macron over the –a in the ablative case clues the student in that the word is in the ablative case and that the –a is a long –a, not short one as in the nominative case. Reliance on macrons weakens understanding of the language and reduces the need to use speaking and listening to Latin as a pedagogical tool. Many students of Latin, especially those learning in High School and college, assume that the material they are given to learn the language is all inclusive; they assume that what they are given is all they have available to learn Latin. There are two major resources available to students of Latin who need extra help. These sources are especially useful when the instructor is too busy or has too large a class to give individual attention to students. There are many books on learning Latin that can benefit students at every level of learning. Three come to mind that should be on every Latin student’s bookshelf even if they are not a part of the student’s assigned Latin material. This book is an invaluable resource for the beginning Latin student. Not only does it fully conjugate most of the Latin verbs a beginning Latin student will encounter in the first to second year (level) of study, it also gives the student the opportunity to compare, side by side, the different forms of Latin’s four conjugations. This book was mentioned in a previous article in this series. Its repeat here is a testament to its importance to the Latin student. This book walks students through English and Latin grammar from the point of view of the Latin student. It is rote in appearance and sparse in content, but these elements make it the perfect reference book, much like a dictionary is to Latin lexicon. OK, this is not a book per se, but this publication comes in the form of preprinted flash cards that are ready for use anytime. Rather than making their own, Latin students can begin using these cards right away. At 1,000 cards per box, the contents of these flash cards should be comprehensive for any beginning or intermediate Latin student. In fact, many students remove the cards from the box as they encounter them in their Latin texts so that they may be learned in conjunction with the student’s normal Latin course material. This online dictionary is not only comprehensive, it gives students an opportunity to look up words that may not appear in their printed dictionaries. Latin is a language of exceptions so some forms of words are very different from their root words. For example, the principal parts of the word “ago" (drive) are ago, agere egi, actum. Students will find neither “egi" nor “actum" in most Latin dictionaries. However, this online dictionary not only gives the definition, it also provides a wealth of information on its translation and form. Latinum is an online Latin language immersion course that publishes podcasts of spoken Latin. For those Latin students without someone with which to speak and listen to Latin, this resource gives the Latin student an opportunity he/she would not otherwise have available. This website contains a wealth of information on Latin including numerals, declensions, conjugations and others. This site also includes advice on how to learn Latin and what to do when you are stuck. Check this site out before you begin or at the very beginning of your program of study. One of the keys to learning Latin is to think outside of the material given to you. Remember that no book could possibly contain everything there is know about the English language. Why assume that what you have been given in a Latin language course is an all-inclusive treatment of the language? Look to other sources when you need help and use the tools recommended here when you are stuck. Chances are you will become a stronger student in Latin as a result.